Scientists from Russia and around the world see plasma rocket technology as a crucial possible ingredient for speedy missions to Mars and beyond. The promising project, already in the testing stage, will effectively allow Russia to achieve self-sufficiency in this area of scientific study. Physicists engaged in the construction of a nuclotron-based ion collider (NICA) facility in Dubna, outside Moscow plan to combine efforts to create of a unique electron positron collider at Novosibirsk's Budker Institute of Nuclear Physics. Promoters say the project would allow Russia to take the lead in a very promising niche of particle physics. Scientists of the Siberia-based Institute of nuclear physics (INP) are planning to complete the first stage of their work on the development of an alternative fusion reactor, a project which is considerably more commercially attractive than the international thermonuclear experimental reactor (ITER). 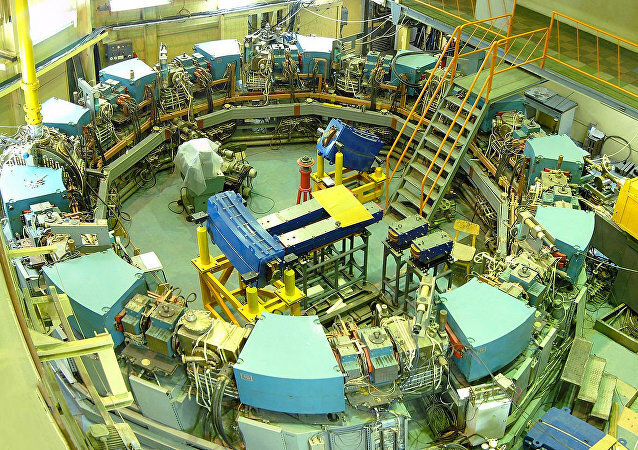 Pavel Lobachev, the director of the Budker Institute of Nuclear Physics, said that his institute will do the accelerator in order to begin clinical trials of the latest boron neutron capture therapy (BNCT) by 2020. Japan is launching a new particle collider with the highest ever luminosity that uses parts produced by a Russian Academy of Science’s institute in Siberia. The head of the Russian Academy of Sciences said Tuesday that the country should move ahead with the construction of a new particle accelerator in Siberia to study exotic particles that could unlock secrets of the universe’s formation.